This is a small site for new environmentally sensitive house adjacent to a boating dyke leading to the River Bure and accessed via a wood-chip drive. The building is timber framed on steel piles that lift the floor level clear of any flood risk. 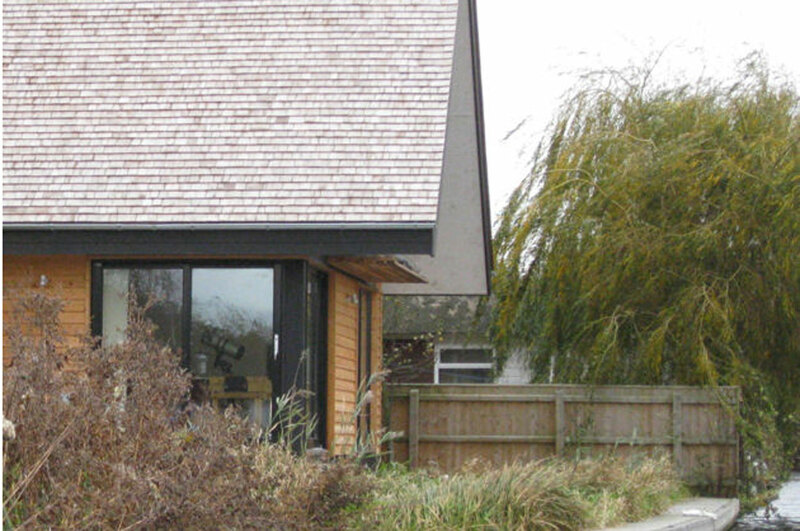 The traditional cedar shingle roof is naturally durable as is the larch cladding to the walls. 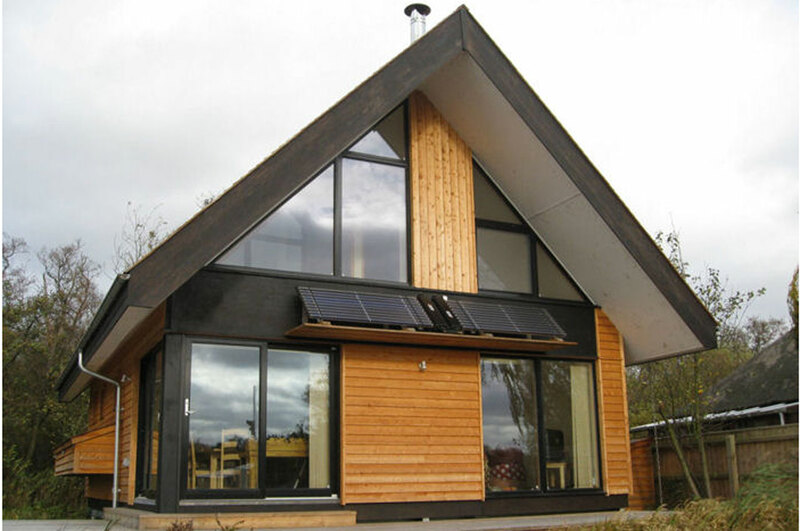 The house has thick walls which are highly insulated using cellulose fibre made from recycled newspapers. All paints and stains are organic. The simple building form addresses the river frontage with a large area of South facing glazing to take advantage of the views and passive solar gain. This glazing is shaded from overheating in the summer by a generous roof overhang which also provides shelter to the decking on this side. The natural materials and simple form help the house sit well within the sensitive landscape setting. The house is comfortable, easy to heat and the main spaces are flooded with daylight helping to maximise our clients enjoyment of this special location.